Year after year, we have seen the K-beauty trend changing everyday. And I notice Koreans have been so diligent with their skincare routine but sad but true, this is still insufficient! Being the 'beauty elixir', The Therapy Booster works with your usual lotion, cream and even foundation to amplify their benefits! Its special formulation helps to address different skin concerns such as dullness, aging and skin damage. 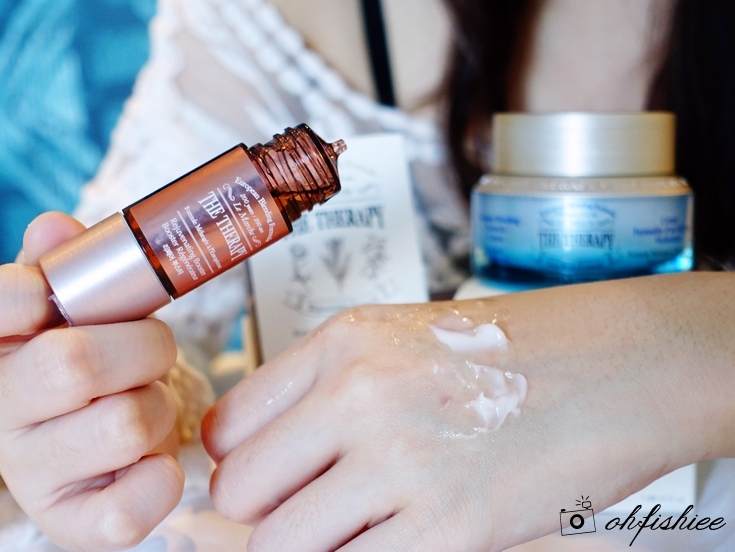 Do you remember my previous blog post about The Therapy First Serum? The Therapy Booster is part of the family now, which is also inspired by the techniques of European Blending (a traditional blending of a mixture of essential oils to address several skin issues at one time). In short, we can now enjoy fresh, custom-blended skincare every day! The Therapy Booster cannot be used alone as the ingredients are highly concentrated. 1. Blend 1-3 drops of The Therapy Booster with the cream. 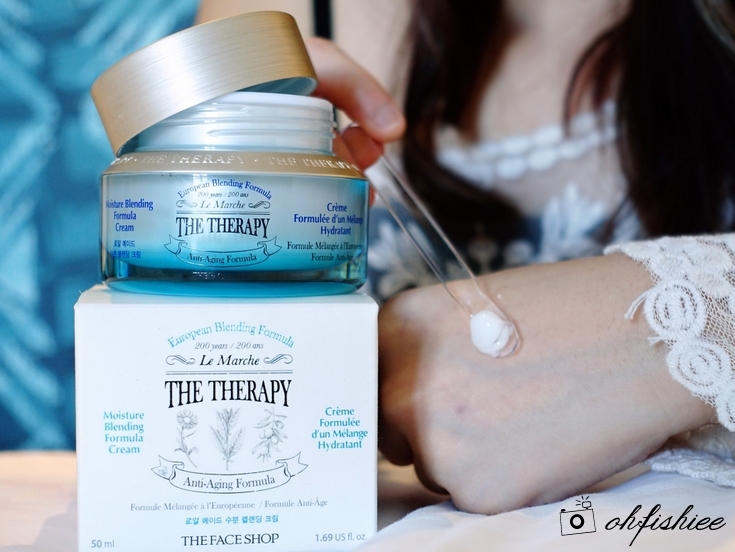 After blending with The Therapy Rejuvenating Booster, the facial cream appears to be smoother, less thick and easier for absorption deep into the skin. But remember, don't put too much of the booster because it can be slightly greasy. 1. Mix 1 drop of booster to your usual BB cream or foundation. 2. 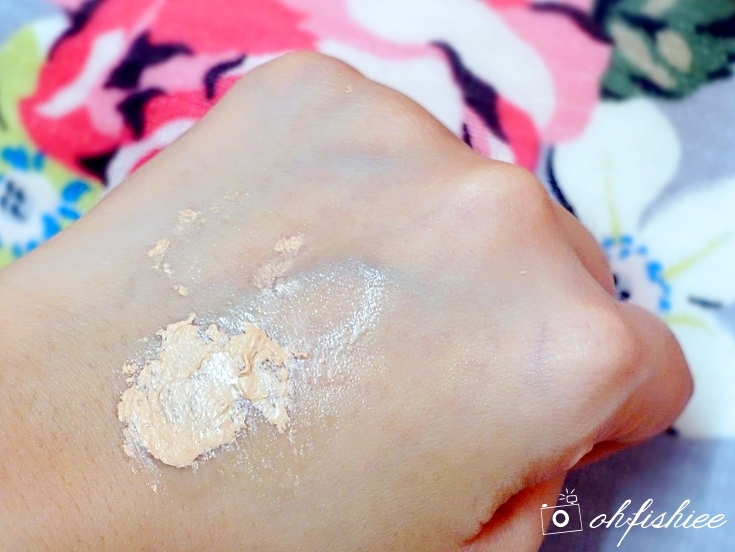 Blend well and apply evenly onto the skin. *DO NOT use the booster alone as the ingredients are highly-concentrated! it actually feels more supple on the skin and easier for blending. 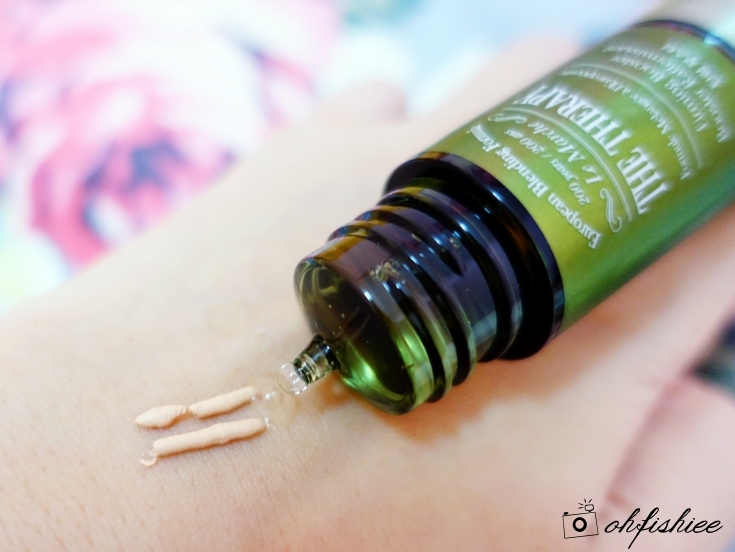 I love how THE FACE SHOP The Therapy Boosters can be used as both skincare booster and care essence for base makeup. Ideal for everyday use to keep the skin protected and pampered all day long. The Therapy Firming Booster and Rejuvenating Booster is available at all THE FACE SHOP outlets and e-store in April 2018. Since it is a limited-time product, try it now and don't miss it ya!